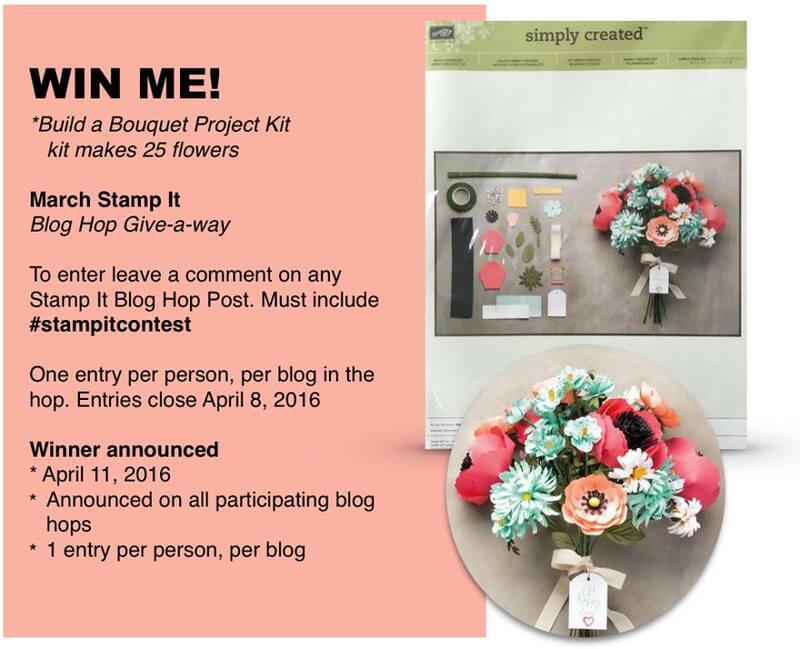 Spring Fling Blog Hop Video with Giveaway! Welcome to the Spring Fling Bog Hop! 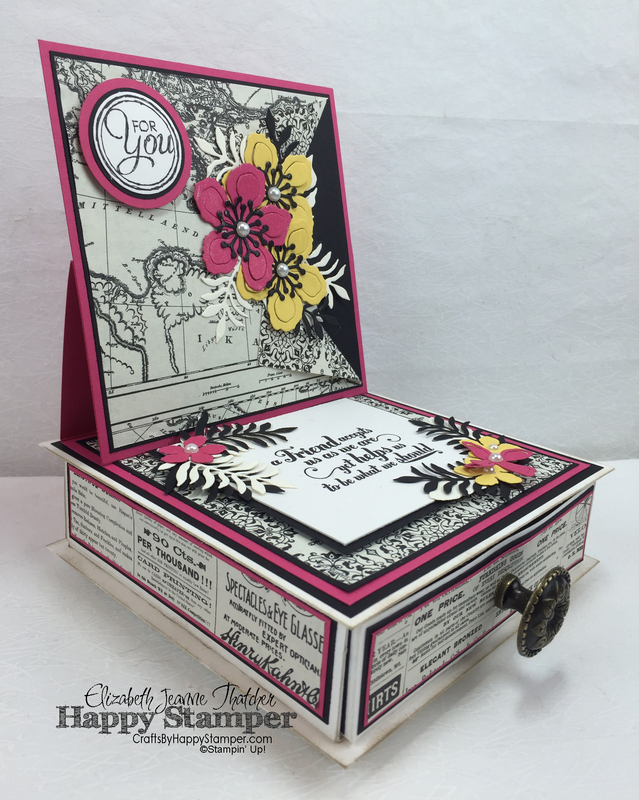 I’m sharing two different colored versions of a beautiful easel card box! They are so much fun!. Here’s the video on how to make the easel box. Now for some pictures in case you don’t want to watch the video. I just love the Botanical Builders set. You can do just about anything with them and they look great! Isn’t the drawer pretty! It pulls completely out. The knob is from the cabinet department at Lowe’s, so you have lots and lots of options for different handles. I did sponge the edges of this box with Crumb Cake, but I don’t think that’s necessary. 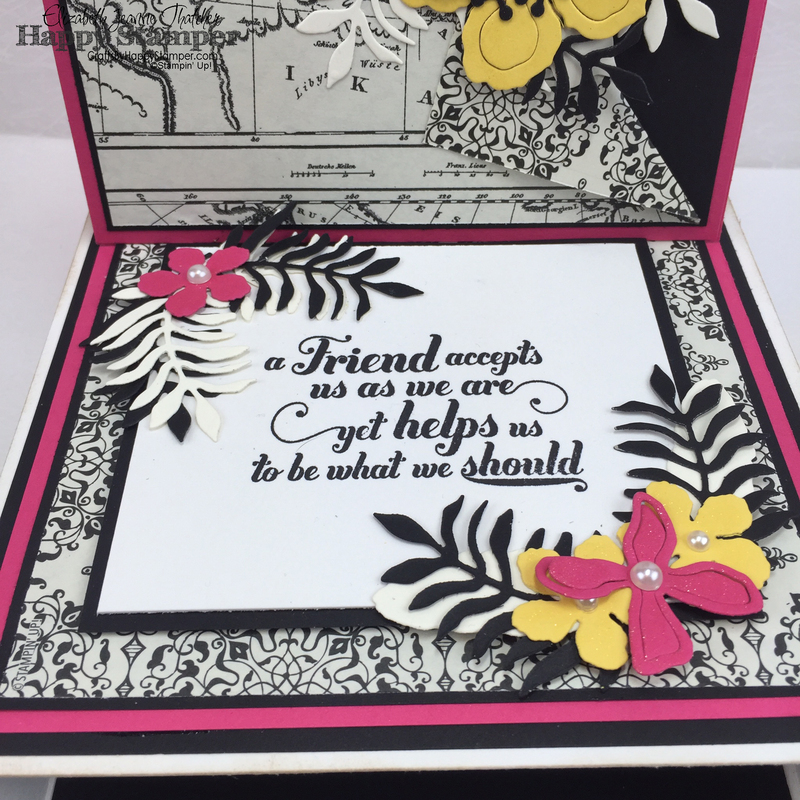 This beautiful sentiment is from the Feels Good stamp set. 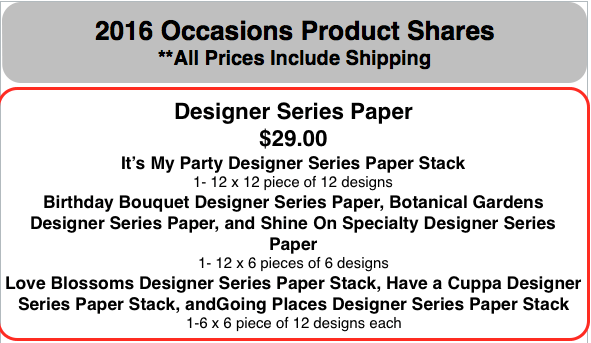 Don’t forget there’s a complete supply list at the bottom of this post, PLUS, a huge giveaway. Here’s the second box. I used Pink Pirouette and Marina Mist as my accent colors this time. I think I love this one the best. Here’s what it looks like when It’s completely closed. Here are the dimensions to make the easel box. –cut a flap on the other piece at both of the corners, so the bottom folds closed. 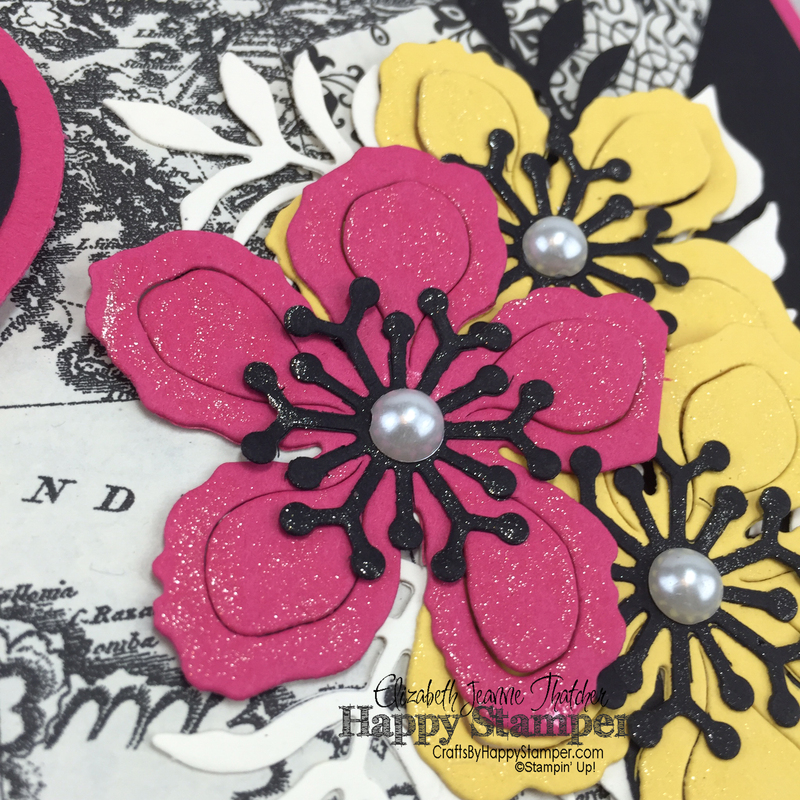 —-Use a ruler to fold the flaps back and stick down with a glue dot. Don’t forget the Giveaway and the supply list at the bottom of this post! FREE tutorial with any $50+ purchase! 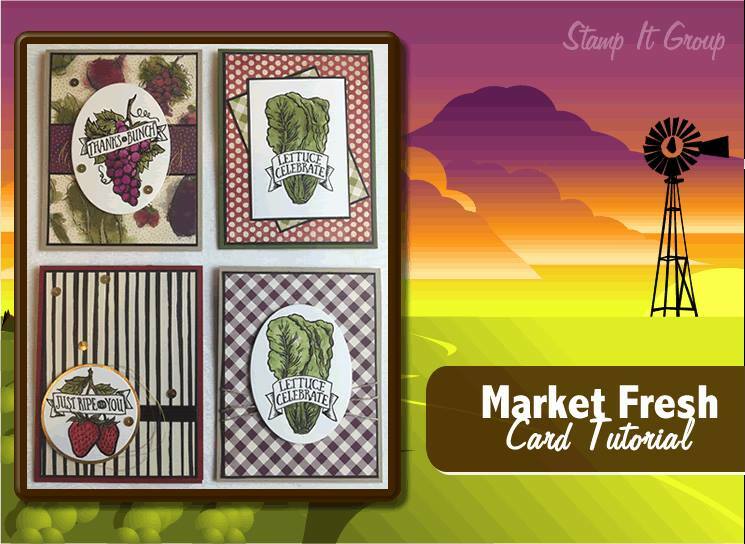 Market Fresh Card Tutorial. 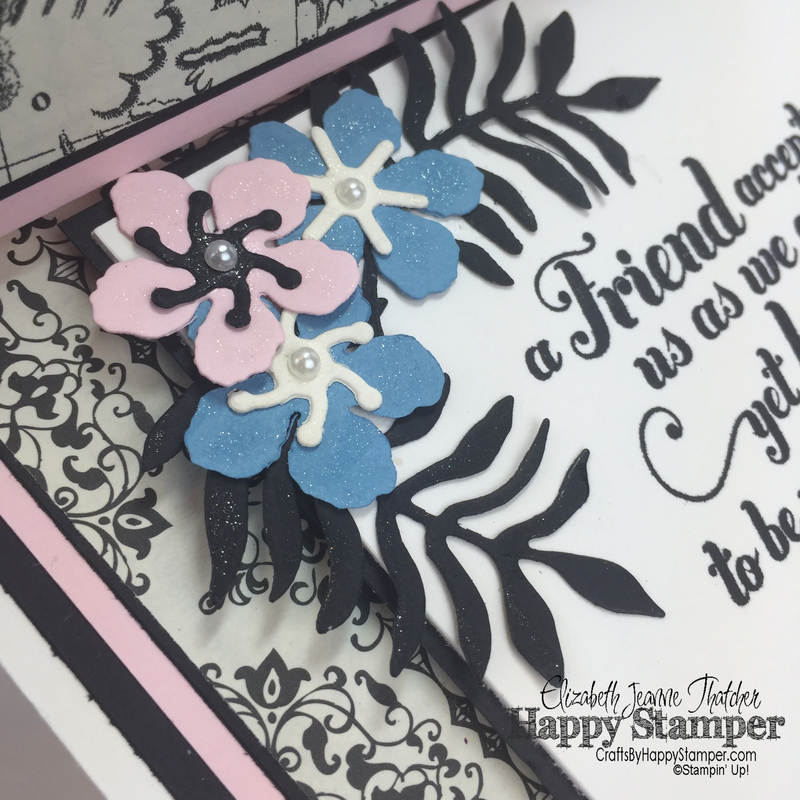 Next New Demo and Sale-a-bration ENDS Thursday! 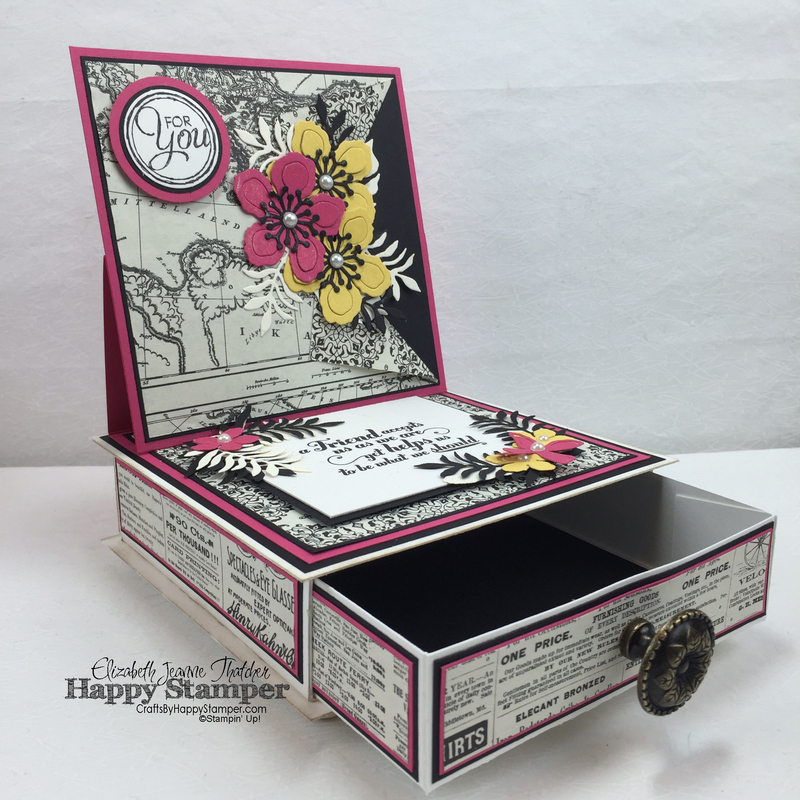 I love making boxes and this design looks like a lot of fun…beautiful! This is amazing. How beautiful! Wow I may have to try and make this project. Awesome! Id love to see it! WOW!!! Amazing project! I am going to make some of these for sure! love this video and the project! Thank you for sharing this video and also for showing the mistakes you made so maybe i won’t make them, but to also show that we’re all just human and make mistakes.